Caitsbook Top 5: LGBTQ+ Reads! Here is a list of my favorite LGBTQ+ reads. Now, in order to count for this list, at least 50% of the book had to follow an LGBTQ+ character (so I couldn’t include The Raven Cycle or Six of Crows, sadly, but maybe I’ll make another list later!). And if you’re wondering why you’re favorite isn’t included- I probably just haven’t read it yet! There are so many great LGBTQ+ novels in the world and unfortunately, I have yet to read every single one (emphasis on yet). 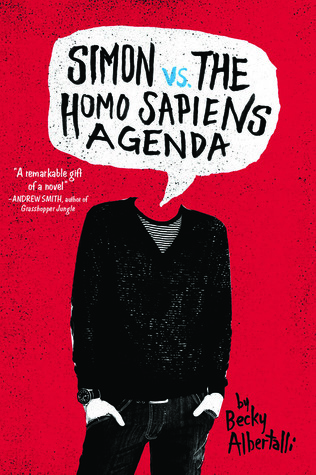 Review In A Nutshell: Simon vs. the Homo Sapiens Agenda is the perfect book for someone looking for a funny, adorable, and just overall amazing read. If you’re looking for a great LGBT book- why haven’t you read this already?! 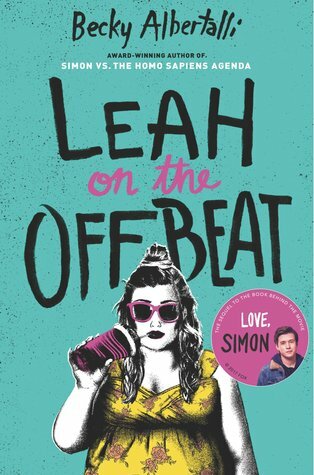 Review in a Nutshell: Leah on the Offbeat was definitely a great read, but don’t compare to the perfection of the book before it.